Shoreline: Seasons at the Lake touches the reader on many levels: as a memoir, a biography, a history and as a study of nature. As the narrative moves forward through a series of beautifully written meditative essays, it explores the intimate details of nature, relationships, structures, and events, which have shaped the author's memory of her family's summer lake home and community. 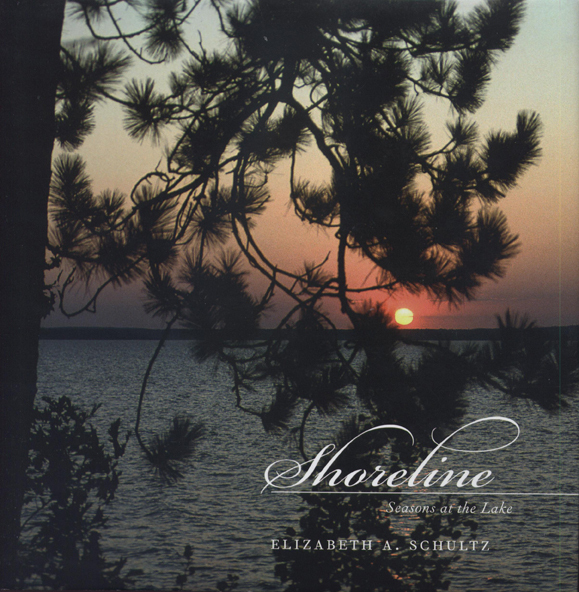 Shultz visits her history and her present, exploring the northern environment of Michigan's lower peninsula, the development of an unusual summer community within that environment, and the growth of an individual within both the natural and human environment. Shoreline is not only a history of community but also a cultural study of all such communities. Schultz acknowledges her debt to Thoreau by recognizing the significance of individual perception in understanding nature. However, she also extends Walden by considering complex and changing relationships between nature and human community. Elizabeth Schultz retired in 2001 from the University of Kansas, where she was a Chancellor's Club teaching professor. She has published extensively in the fields of African American fiction and autobiography, nineteenth-century American fiction, American women's writing, and Japanese culture in addition to poetry, short stories, and essays on nature. She has been interested in Japanese culture since she taught English at Baika College in 1958. She has subsequently held a Fulbright in Japan; taught at Hiroshima University, Kobe University, Kyoto University, Osaka City University, and Doshisha University; and lectured widely throughout Japan. She has also written on traditional Japanese whaling and on Japanese iconography of the sun and has translated Shiga Naoya's short stories.